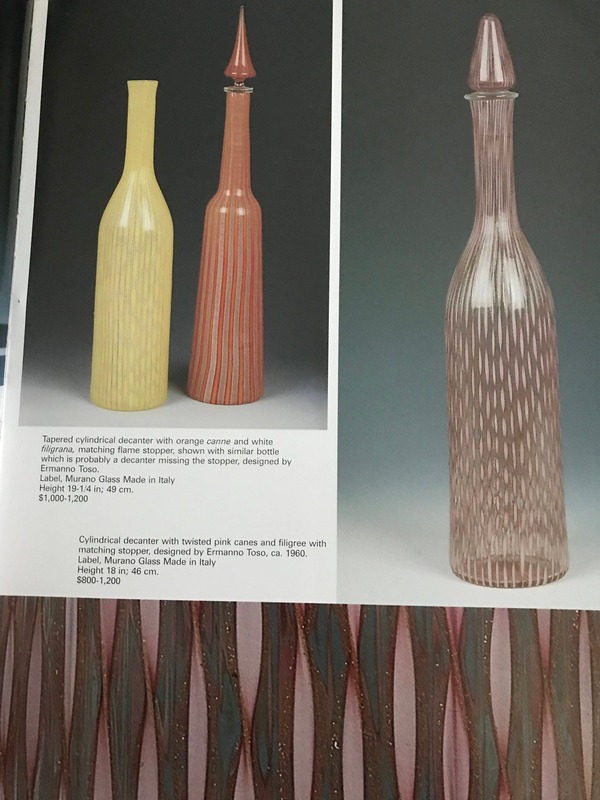 This EXQUISITE mid century Murano masterpiece by Ermanno Toso is certain to take your breath away. 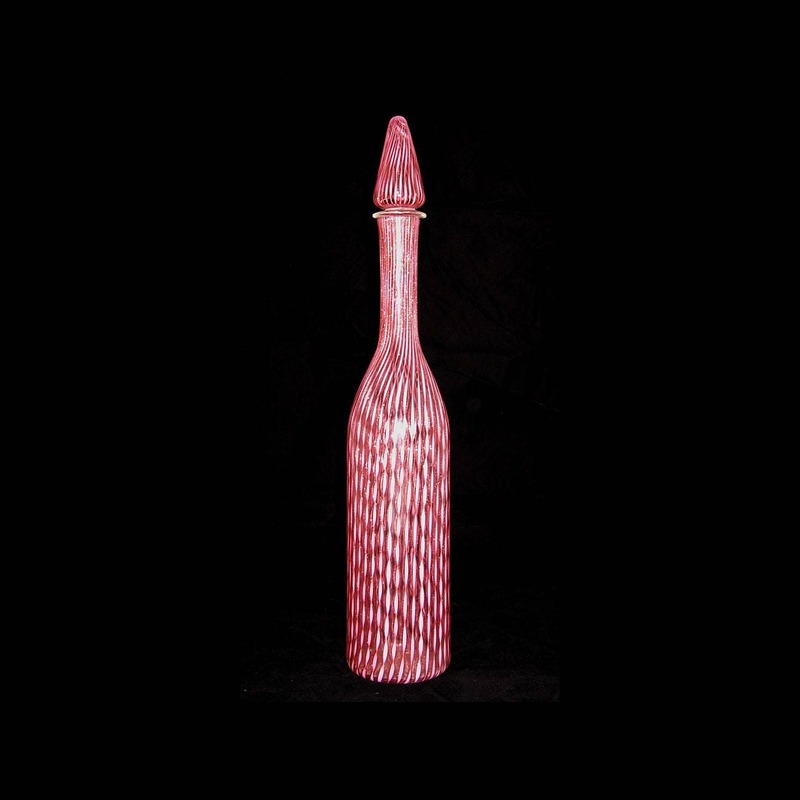 Done in pink twisted ribbon canes delicately framed in fine strands of gold | aventurine, this large glass decanter exemplifies the inimitable artistry and painstakingly perfected detail found in the finest pieces of Murano glass. 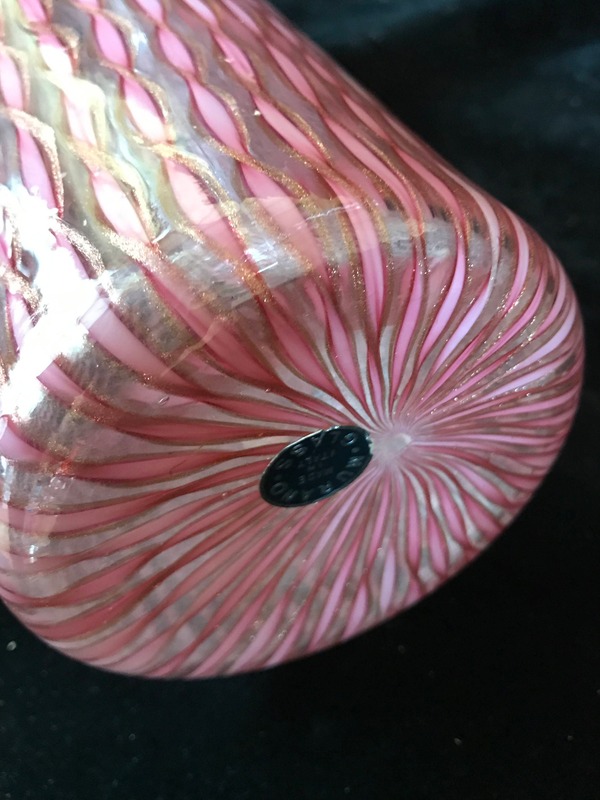 It retains its original Fratelli Toso "Made in Murano" sticker in near-perfect condition and is additionally documented (see last photo).